One of eight in the family of water-soluble B-complex vitamins, vitamin B6 is an essential nutrient not synthesized or stored by the body. As a necessary coenzyme for numerous bodily functions, vitamin B6 must be obtained through a healthy diet or supplementation, as unused water-soluble vitamins are excreted daily through urination. There are several forms of this very versatile vitamin, some of which require conversion by the liver into a bioavailable form. Pyridoxal 5’ phosphate (PLP or P5P), a metabolically active, readily absorbable form that doesn’t require conversion, allows the full health benefits of vitamin B6 to be quickly and easily utilized by the body. All B-complex vitamins aid in protein and fat metabolism, as well as the conversion of carbohydrates into glucose utilized for energy production. Found largely in protein-rich foods, whole grains and some vegetables and nuts, vitamin B6 status can impact both physical and mental health. Because B6 is involved in numerous enzymatic reactions, adequate levels are key for promoting and maintaining overall wellness, as well as the cognitive health of aging brains. Studies have found that the combination of vitamins B6, B12 and folate may play a role in slowing cognitive decline and age-related memory loss, suggesting that these vitamins may also decrease the risk of depression, stroke and Alzheimer’s disease. Brain health – Necessary for proper brain development in children and for healthy brain function in people of all ages, poor vitamin B6 status may play a role in cognitive decline, as studies show associations between higher serum vitamin B6 concentrations and better memory test scores. Per the National Institutes of Health (NIH), B vitamins, particularly B6, B12 and folate are widely believed to be protective against Alzheimer’s disease and age-related loss of cognitive function. Heavy metal chelation – Heavy metal induced toxicity resulting from chronic exposure may be affecting up to 25% of Americans. Found in the air, water, soil and our food supply, heavy metals can accumulate in the body. Even at minute levels, toxic metals can have detrimental effects on the integrity of the cardiovascular, gastrointestinal, neurological, musculoskeletal, and immune systems. Vitamin B6 as PLP has been shown to inhibit cellular lead toxicity by mobilizing lead deposits in tissues and enhancing excretion of toxic metals through urination. Glycation – Glycation occurs when a sugar molecule, such as glucose or fructose, bonds to a protein or lipid molecule without the controlling action of an enzyme. This results in the formation of non-functioning advanced glycation end products or AGE’s. While AGE’s are a normal consequence of aging, they are far from desirable, as glycation is associated with diabetes related conditions, cataract development, atherosclerosis, kidney failure, neurological impairment, and visible signs of skin aging. PLP has been described as the most potent natural substance for inhibiting AGE formation, helping to combat premature aging and the underlying loss of structure and function associated with accelerated aging. Homocysteine – Homocysteine is a byproduct created during protein metabolism. High levels of homocysteine are implicated in increased risk of coronary heart disease, stroke, and peripheral vascular disease, and are viewed as a potential predictor of Alzheimer’s disease. Randomized controlled trials have shown that vitamin B6 can effectively reduce homocysteine levels associated with heart disease development and age-related cognitive decline. Neurotransmitter production – B vitamins play a central role in the maintenance of nervous system health and function. Vitamin B6 is a necessary cofactor in the synthesis of neurotransmitters, such as dopamine, serotonin, GABA, melatonin and noradrenaline. These chemical messengers affect every bodily cell, tissue and organ system and regulate mood, emotions, sleep, cognition, energy, appetite, pleasure, fear, and the stress response. Chronic stress, aging, certain medications, obesity, pregnancy, excessive alcohol consumption, and medical conditions, such as poor kidney function, impaired liver function, malabsorption syndromes, and autoimmune diseases can interfere with or block intestinal absorption of vitamin B6. 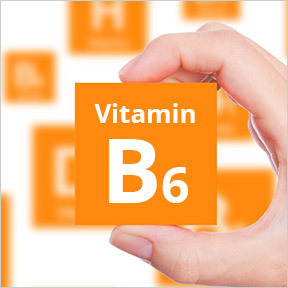 While it’s rare for healthy individuals to have a significant deficiency of B6, studies indicate that many individuals may be mildly deficient in all B vitamins, especially children and seniors. Marginal deficiencies in B vitamins can predispose individuals to a number of negative health consequences, including less than optimal brain function. Symptoms of deficiency can include muscle weakness, anemia, nervousness, depression, weakened immune function, difficulty concentrating, and short-term memory loss. P-5-P 50 mg by Designs for Health®: Each capsule supplies 50 mg of the activated form of vitamin B6 in support of a wide range of biological actions. Wheat, yeast, soy, gluten, egg, dairy, sugar, and artificial ingredient free. P5P 50 (activated B6) by Pure Encapsulations®: Each vegetable capsule supplies 50 mg of active bioavailable vitamin B6 to provide beneficial nutritional support for a wide range of physiological functions. Gluten and soy free, Non-GMO, hypoallergenic, vegetarian formulation. P-5-P Pyridoxal-5-Phosphate by Klaire Labs®: Particularly well suited for individuals with amino acid imbalances or nutritional deficiencies, this already converted and easy-to-assimilate form of vitamin B6 metabolite provides coenzyme support for numerous biological functions. Gluten, soy, wheat, dairy, preservative and artificial ingredient free, Kosher-certified, hypoallergenic formulation. Pyridoxal 5’ Phosphate by Metabolic Maintenance: This two-ingredient supplement provides 50 mg of vitamin B6 as P5P and 250 mg of vitamin C in support of optimal bodily function. Excipient free, vegan formulation. Active B-Complex by Integrative Therapeutics®: This active B-Complex provides a full complement of bioavailable B vitamins necessary for numerous biochemical processes. Gluten, soy, wheat, sugar, yeast, dairy, and preservative free, vegetarian, NSF-Certified formulation. PureGenomics® B-complex by Pure Encapsulations®: This gluten free, Non-GMO, hypoallergenic, vegan formulation provides highly active broad-spectrum B vitamin support to address the nutrient requirements of methylation processes, as well as cellular, cardiovascular, neurological, and psychological health. Phyllis A. Balch, CNC. Prescription for Nutritional Healing. Vitamin B6. Penguin Group 2010. Neuroscience tells us that physical exercise is good for the brain as well as the body. Physical activity plays an essential role in maintaining a sharp mind. According to Laura L. Carstensen, author of A long Bright Future and director of the Stanford Center on Longevity, “The latest research shows that cognitive decline is not inevitable. Although the brain does shrink slightly, it continues to make new neurons and fine-tune neural connections as we age. ” If you want to reduce your lifetime risk of developing alzheimer’s disease and general dementia, aerobic exercise can help keep cognitive abilities sharp. Exercise boosts the flow of blood to the brain, resulting in the release of brain chemicals that stimulate the formation of new neurons, work to repair cell damage and strengthen the synapses that connect brain cells. Exercise and physical activity are primary components of a healthy lifestyle. Studies show that everyone, no matter their age or health condition, can increase their brain power by exercising regularly. Exercise does not have to be strenuous to reap the benefits. Brisk walking, cycling or other activities that get the body moving and the heart pumping for 150 minutes a week will stimulate the same brain activity. 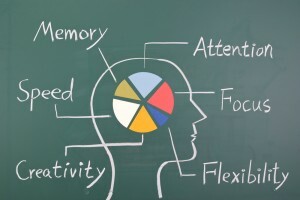 According to a study done by the Department of Exercise and Science at the University of Georgia, even briefly exercising for 20 minutes at a time facilitates information processing and memory functions. Regular exercise can result in an increase in brain size, which may be the best memory aid of all. Engage in novel and complex activities. Mental stimulation translates to neurophysiological growth much the same way as aerobic exercise stimulates cardiovascular health. Learning challenging new skills helps to keep your brain strong by promoting synaptic density and decreasing risk of developing neurogenerative disease. 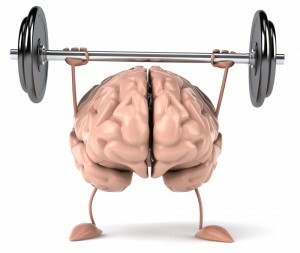 Physical exercise in conjunction with brain training increases the chances of increasing cognitive skills. Ballroom dancing or tennis are activities that include both physical and mental demands, which can have a greater impact on cognitive functioning. It appears that the best brain workouts are those that include coordination, rhythm and strategy. If you always walk the same route, change up by reversing the route or try a new one altogether. Find an exercise partner. Exercising with a friend not only provides support to keep you on track and motivated, socializing during exercise also helps to exercise the mind. Studies show that people who engage in social interactions display higher levels of cognitive performance and that these cognitive benefit boosts may occur almost immediately. Communicating and interacting with others helps maintain strong connections that can have significant health-promoting benefits such as stress reduction and emotional bonding. If it’s good for the heart, it’s good for the brain. The brain and the heart act in harmony to support life. Nearly 25% of the oxygen and blood from every heartbeat is destined for the brain. Lifestyle behaviors that benefit brain health have a similar benefit for the cardiovascular system. Contrarily, brain function may decline as heart disease risk factors increase. Risk factors that accelerate the brain function degenerative process, such as smoking, obesity and a sedentary lifestyle, are the same risk factors that promote heart disease, which can affect blood supply to the brain and other brain-heart interactions. Keep your brain and your heart healthy by making exercise a part of your daily routine. Exercise boosts the production of proteins that stimulate brain cell growth, brings glucose and oxygen to the brain and helps neurons work optimally. Adopting a brain healthy diet, limiting your intake of foods high in fat, dietary cholesterol and sugar, and managing your body weight are most effective at reducing risk factors when combined with physical and mental activity and social interaction. Brain Support Q by Quantum Nutrition Labs – Quantum Brain Support is a comprehensive, live-source formula that promotes premier brain performance, clarity, focus, attention and memory as well as advanced lipid membrane support for the brain. Brain Memory by Vinco – This product contains ingredients that have been shown to be beneficial in promoting a healthy management of cognition and memory recall, protecting nerve cells against environmental toxins and supporting increased brain function. Brain Cell Support by Metabolic Maintenance – This product contains a combination of nutrients and herbals for support of normal memory, mood, and focus. Diet and nutrition play a large role in brain development and function throughout your life. Research shows that diet is one the most powerful influences on maintaining a healthy brain. Memory, attention span, and ability to learn all benefit from healthful foods. Key nutrients, daily brain games, and smart lifestyle habits, such as getting adequate amounts of sleep and exercise, all help to keep brain cells healthy and prevent brain-damaging inflammation. Eating a well balanced, brain-healthy diet can help reduce your risk of chronic age-related conditions such as dementia and Alzheimer’s disease. Good nutrition and healthy eating patterns can improve your mental health and wellbeing. Leafy green and cruciferous vegetables such as broccoli, cauliflower, cabbage and kale are packed with antioxidants that are powerhouses for brain performance. Antioxidants which neutralize free radicals can help optimize brain health and reduce the risk of cognitive diseases. Wild salmon. Fatty fish high in omega-3 fatty acids contribute to improved brain processing power and cognition, and are believed to be essential for a healthy mind. Oily fish contains the omega-3’s EPA and DHA in easily used forms that aid in reducing inflammation. Blueberries are thought to help protect the brain from oxidative stress and may reduce the effect of age-related conditions such as cognitive impairment and dementia. Consumption of blueberries may be effective in improving or delaying short term memory loss. Nuts and seeds are great sources of vitamin E, which is associated with reduced cognitive decline. Pumpkin seeds and sesame seeds provide zinc, vital for enhancing memory, learning, and thinking skills. Flax seeds contain both omega-3 and omega-6 fatty acids used to build and protect healthy neurons of the brain and nervous system. Avocados, high in monounsaturated fat, promote brain health by contributing to healthy blood flow and aid in lowering blood pressure. High blood pressure is a risk factor in the decline of cognitive abilities. Avocados are rich in oleic acid, a fatty acid which helps to build myelin. Myelin, found in white matter of the brain, enhances information processing. Whole grains promote cardiovascular health and good blood flow to the body’s organ system, which includes the brain. The ability to focus and concentrate comes from an adequate and steady supply of glucose. Whole grains have a low glycemic index, meaning glucose is released slowly into the bloodstream, which helps support mental alertness by providing a continual supply of brain food and energy. Antioxidants found in citrus fruits, pomegranates, and colorful vegetables help protect the brain from free-radical damage. Modest amounts of caffeine, found in coffee, tea and dark chocolate, can improve attention span, reaction time and short term memory. Apples contain quercetin which offers powerful neuroprotection, arming brain cells against free radicals. Most of the quercetin is found in the skin, so be sure to eat the peel to get the benefits. Grapes, wine and dark chocolate contain flavonols and polyphenols which offer a short-term boost in cognitive skills and may prevent some cognitive impairments. Purple grapes contain the phytonutrient resveratrol, known for its healthy effects on circulation. Circulatory problems can contribute to dementia by decreasing the supply of oxygen and nutrients to the brain. Research suggests that polyphenols may help the brain stay healthy by promoting memory, learning and cognitive function, and by reducing toxicity and inflammation. Brown rice contains high-energy B vitamins like riboflavin, niacin, thiamin and inositol for energy production and optimal brain health. Beans help stabilize blood glucose levels and aid in providing a steady flow of glucose to the brain, which is dependent on glucose for fuel. Trans-fats found in fried foods, margarine, bakery goods and fast foods, contribute to a series of health problems including heart-related issues, elevated cholesterol levels and obesity. Trans-fats slowly damage the arteries, increasing the risk of stroke and cardiovascular disease. Trans-fats have been linked to brain shrinkage, a hallmark of Alzheimer’s disease. Sugar and sugary products can interfere with memory and your ability to learn. Chronic sugar consumption reduces the production of a brain chemical known as brain-derived neurotrophic factor (BDNF). Lowered levels of BDNF have been linked to depression and dementia, and a dulling of the brain’s mechanism that indicates when you have had enough to eat, contributing to obesity, insulin resistance, and type 2 diabetes. Junk food affects brain chemicals associated with depression and anxiety, and interferes with the production of dopamine, a chemical that supports cognitive function, learning capacity, alertness, motivation, memory and the overall feeling of wellbeing and happiness. B-Complex Plus by Pure Encapsulations – B-Complex Plus contains an exceptional combination of B vitamins, including vitamins B1, B2, B3, B5, B6, B12, biotin, and folic acid (as Metafolin® L-5-MTHF), all of which are provided in their optimal bioavailable and functional forms. CoQ10 and L-Carnitine by Physiologics – Coenzyme Q-10 plays an essential role in the production of cellular ATP, cardiovascular health maintenance, and antioxidant protection. L-Carnitine transports fatty acids into mitochondria to promote cellular energy production. This product contains a synergistic mixture of Coenzyme Q-10, L-Carnitine (as L-Carnitine Fumarate), Gamma Tocopherol, Vitamin E (as d-Alpha Tocopherol), Vitamin C (as Ascorbyl Palmitate). PS (Phosphatidylserine) 100 mg by Natural Factors – PS is a natural brain component and is integral to all brain cell activity including support and maintenance of mental performance and memory function. PS has been shown to improve cognitive functioning and endocrine response to stress and to decrease muscle damage and soreness following exercise.